Still confused, I inquired him about Maithili, and his native place. After hearing me out, he told me whole story of Maithili, Mithala, Janaka and Sita. And with that little chit chat, I came to know, Maithili is also one of the sobriquet used for Sita. Though, Maithili is not only sobriquet people gave her, she is known by several names like Siya, Vaidehi and many more. And some of them are listed here. The name Sita derives from Sanskrit word for furrow, “seet”. According to Ramayana, Janaka, found her in a box when he was ploughing as a part of yagna to please Indra. As he found the box in which Sita was sleeping with help of seet (furrow), he named her after seet, Sita. Siya is simply a variation of the name Sita. It is widely popular in local Hindi dialects like Awadhi, Maithili and Braj. Janaki, the name derives from her father name Janak. Thus, Janaki simply means the daughter of Janak. Janakatmaja translates as daughter of Janak but if one goes deep, the name means part of Janak’s soul. Janakatmaja is a combination of Janak, her father’s name and Atmaja, a Sanskrit word which means part of soul or one’s child. Like Janaki and Janakatmaja, Janaknandani also means daughter of Janak. But in deeper context, nandani means one who is joyful or bring joy to someone. 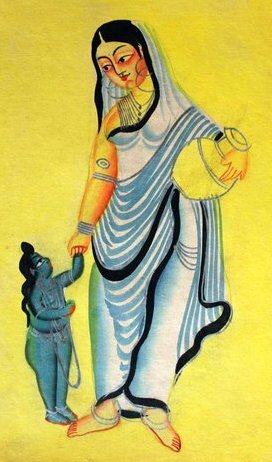 As she brought the happiness in the world of childless Janak, she is Janaknandani. The daughter of Bhoomi (Earth) or someone who is born from Earth. One who makes barren earth fertile, the sobriquet was given to her, as her birth brought the rain to the rainless and barren land of Mithala. Maithili, the Princess of Mithala. For those who don’t know, Mithala is the name of Janak’s kingdom. Another popular sobriquet given to Sita, Rma (Rama) simply translates as the wife of Rama. The daughter of Vaideh, a sobriquet Janak earned due to his ability to achieve the state of deep meditation. She is also known by the name of Bhoomiputri (Daughter of Bhoomi) and Janaksuta. Thank you! Let me explain my interest in Sita. I have a written a novel, in which I create a bi-cultural Deity as a thought experiment. Sita is the mother and she must hide her son whose father is a God from another religion. Hanuman takes the blue baby to the Americas, where, like his mother, the is left to be discovered in a box. My book is called "White Monkey Chronicles." You seem like a very literary guy. I'm thinking maybe you'd like to read and review my novel when it comes out. Thank you for your honest reply. For better or worse, I am a boundary breaker, with Biblical characters as well, Mary included. Alas, I am of the mind that the poets, priests, shamans created the world's deities and that they remain imprisoned by the various guardians of orthodoxy. Like Guha, nature is my deity. I faithfully go into the forest and kick the statues. So I do understand. I write for the spiritually adventurous, and took the chance that you might be like-minded. Forgive my presumption. For me, the answer lies somewhere in between the both extremes, it is there in so-called statues and it is there in our mind. But most of us believe it is there in the extremes, and we reject the other side and in that rejection, we failed to come up with a definitive solution. You can call me naive for thinking like that but I believe in respecting both ideologies and when we will be able to come with an intermediate ideology, consisting best of both, only then, we can reach our goals. I respect your more reverent perspective. I like to imagine there is a bigger circle inclusive of the reverent and the irreverent. I was absolutely charmed by the presence of Guha in the Ramayana. I suppose the closest narrative in Bible is the story of Job, who is riddled with doubt, but unlike Guha submits in the end. I am not sure the Qu'ran has a comparable story within the story. My best vision for the future is one world, one garden---and it is a garden that embraces diversity. I would not want a monochromatic world. So perhaps we do share a vision, and acknowledge that there many lanes to it, included my crooked path. I am happy to share my planetary ride with you on board. I guess that is my Namaste. Isabella, I am a devotee in the Vaishnava discipline. But I was born into a Christian background and had to adapt to the temple deities. The understanding I was given, the deities are non-different from God. So when you "kick" a deity it is the same as kicking God. But I totally understand as boundary-pusher myself, because I'm trying to write a fictionalized novel about the life of Jesus. My working strategy is that I can create any fictional events in Jesus' life, as long as they do not contradict any know facts. This idea of "facts" can be very fluid however. I also had in mind another book where in the future highly-trained priests attempt to live and practice discipline that does not contradict any of the world's religions, and what ensues in that most difficult pastime. You missed out "kshitija" . Thank you sir, I never knew that.